The group of products under collective name Footwear Care is a comprehensive package of chemical agents for the total protection and care of leather goods and textiles. Thanks to the wide range of highly efficient products, footwear protection and maintenance will become pure pleasure, and the shoes will look as new for a long time. 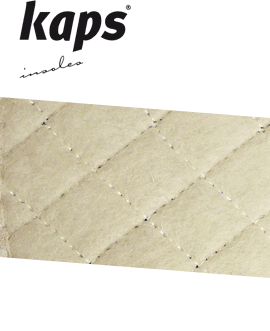 Specialised products Kaps Professional for renovation and repair of products made of grain leather, chamois leather and textiles. Thanks to these product, the impossible becomes routine. Change of colour of your favourite shoes or removing scratches is not a problem any more. What remains is pleasure and good fun! 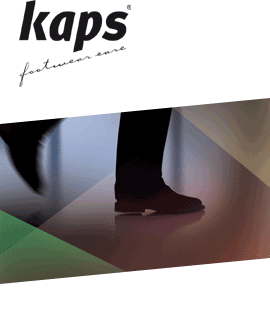 Highly specialised orthopaedic insoles from the Kaps Profilactic line prevent and reduce foot pains. Wide range of dedicated insoles offers you individual choice, giving positive effects in the process of ailment prevention. 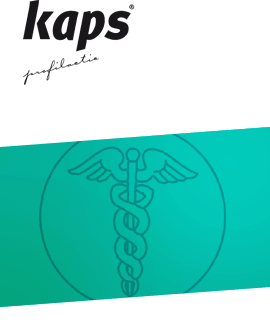 Correctly adjusted Kaps Profilactic insoles will have positive effect on feet, giving the feeling of relief during convalescence or preventing ailments. 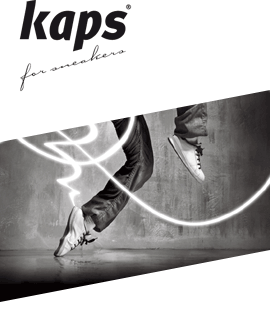 Soft, comfortable and practical insoles, made of top-quality materials, produced with special focus on achieving the highest standard of walking comfort. New on the Polish market. 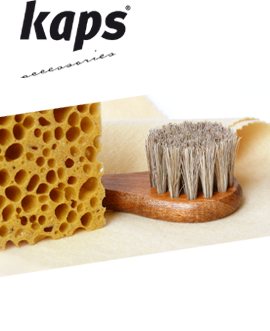 Special line of care products for sneaker-type footwear (sneakers, sports and golf shoes) made of textiles, chamois leather, nubuck, leather and their combinations. Sneaker care agents are environmentally friendly. Produced on the basis of water, they are safe to the environment. With regular use of the agents, your sneakers will look like new for a long time. 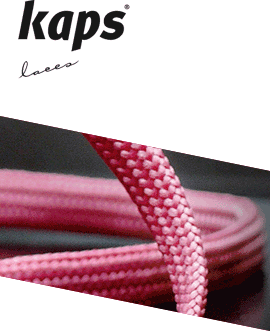 Cotton laces in all colours and wide range of thickness and length. Packed in single blister packs and collective packaging. Footwear accessories for keeping shoes in good condition. Wide range of boot-trees, shoehorns and brushes facilitating cleaning and putting on your shoes.